After a fairytale wedding, Priyanka Chopra Jonas and Nick Jonas begin married life in a home fit for Hollywood royalty. The newlyweds are living in a lavish $6.5 million pad in Beverly Hills, Los Angeles (US). They never have to leave their new home as it pretty much has everything one would ever need. The 4,129 square feet mansion consists of five bedrooms, four bathrooms, a gorgeous kitchen and a pool with a fabulous view of the hills. 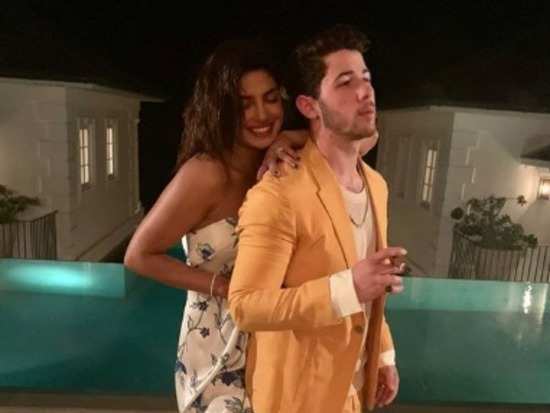 Rumours have it, Nick bought the home before he proposed to Priyanka. The couple wed in December last year at the majestic Umaid Bhawan Palace in Jodhpur. They also held pre-wedding festivities that began on November 26 in Mumbai. Their wedding celebration included a Mehendi and a fabulous Sangeet. Speculation they were dating began in 2017 when they stepped out together to attend the Met Gala. However, both stars kept mum on their relationship status. This had many keeping their eye on social media to spot the clues. However, all's well that ends well. Fans have been super excited about this relationship and can't wait to watch their lives unfold together. 3Twinkle Khanna's hilarious attempt at martial arts will leave you in splits!